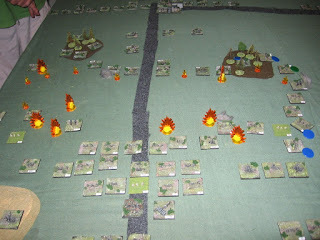 For a little Friday night amusement Jon and Andrew came across and we played Falk's advance against the Russian invaders on Prussian soil, the first engagement of what is now know as the Battle of Gumbinnen in 1914. 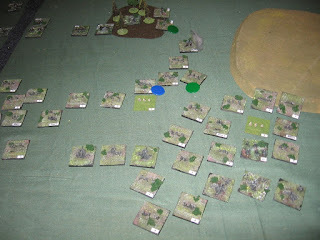 This was the first outing for the new 6mm Russian forces, mostly Irregular troops with Ros Heroics artillery. 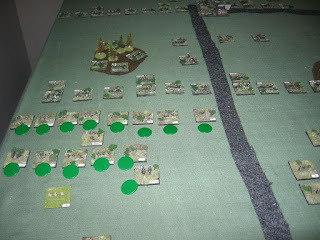 The German army is all Irregular Miniatures. 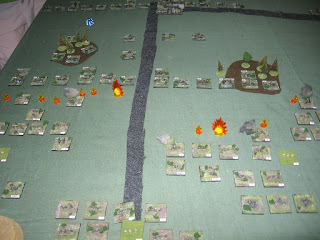 The scenario comes from the files section of the Great War Spearhead Yahoo group, and the battle was fought using the Great War Spearhead II rules set. 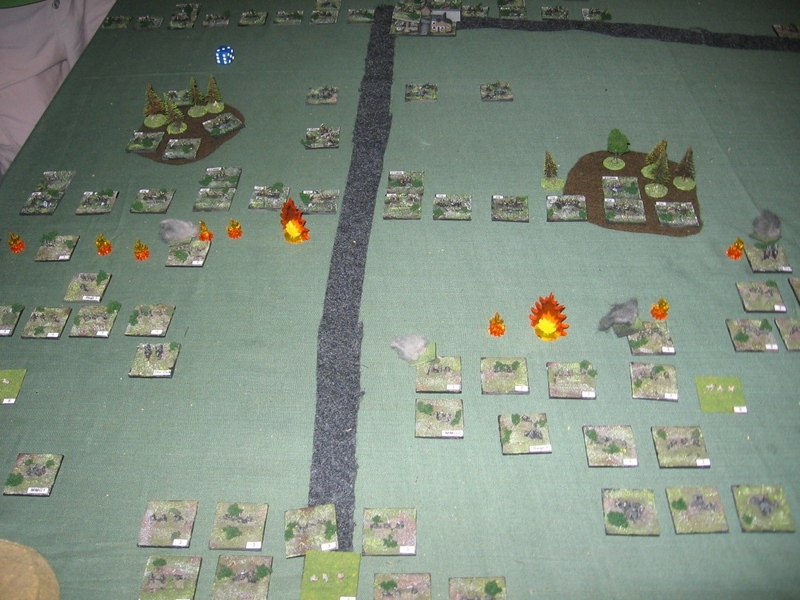 The battlefield seen from behind the German entry edge. The Russian right flank defensive position. 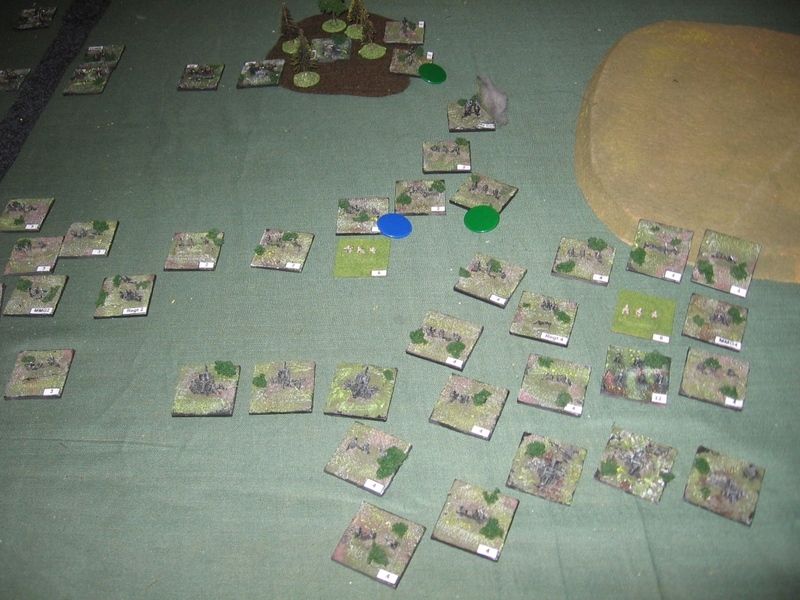 All Russian troops start the battle in light entrenchments. The Russian reserve regiment hunkered down in safety. 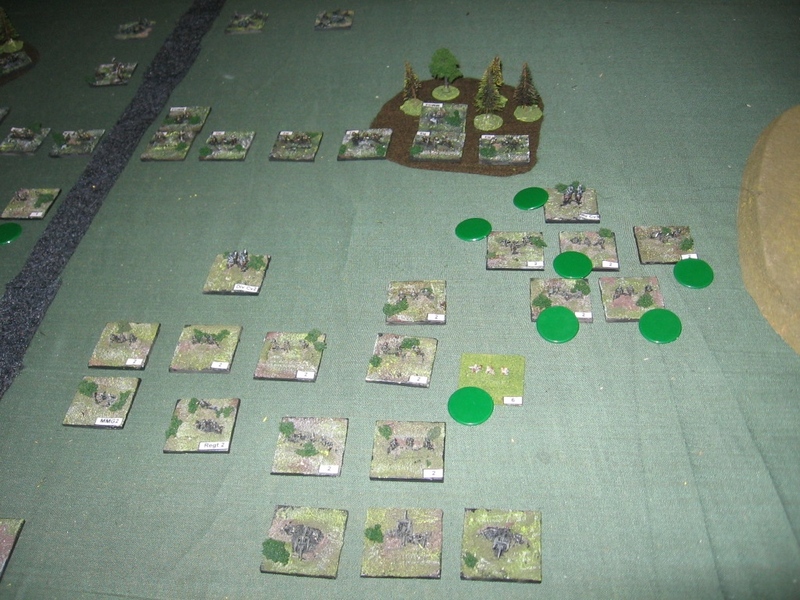 The Russian defenders spend the first two moves suppressed to reflect their state of disorganisation as the German attack begins. There us a dense fog across the battlefield. 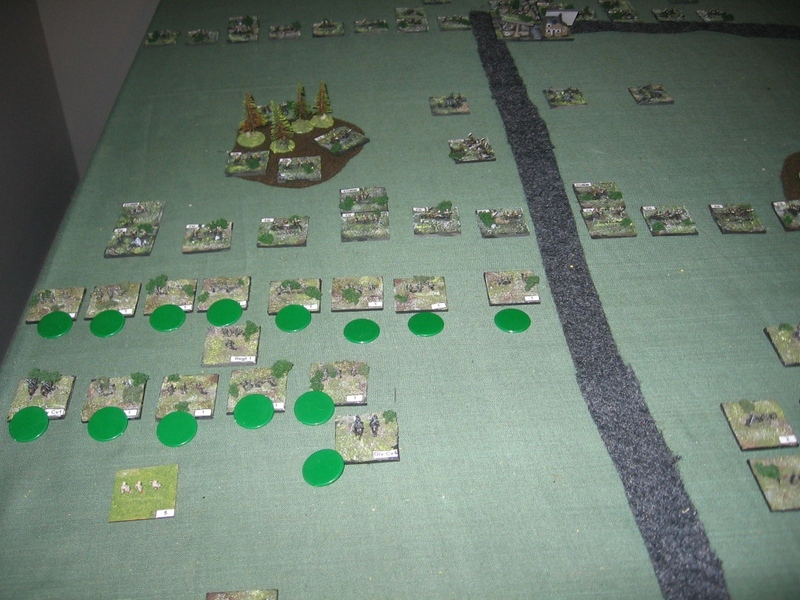 The German attack on the leading Russian regiment's left flank. 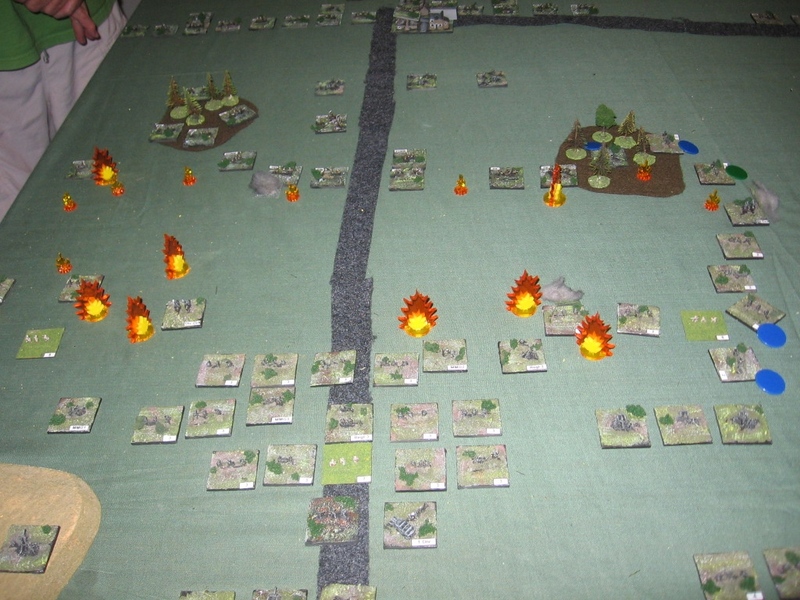 Attackers are attempting to work their way around the open flank while others engage in a frontal firefight. Fire opens all along the front. 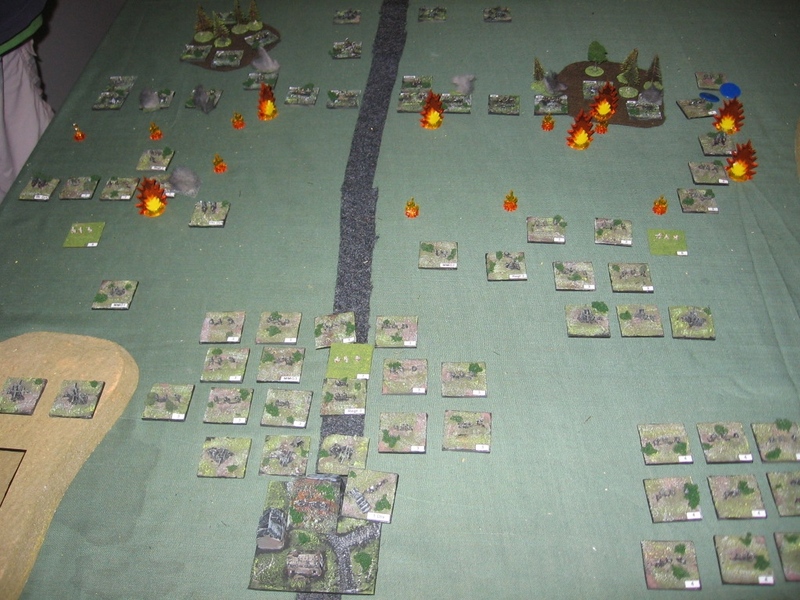 Casualties are heavy on both sides. 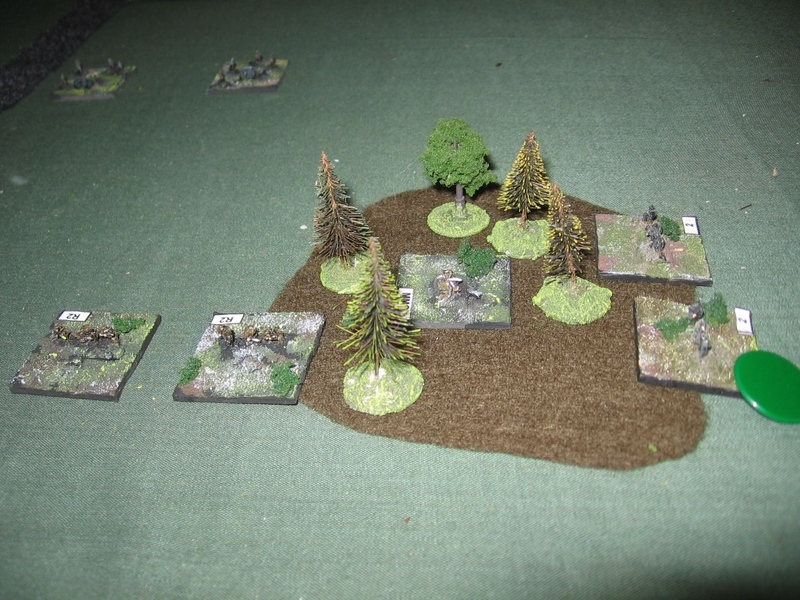 The German left wing regiment fails its morale check and falls back from the action. 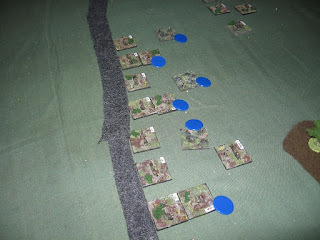 The German commander commits his reserve regiments. 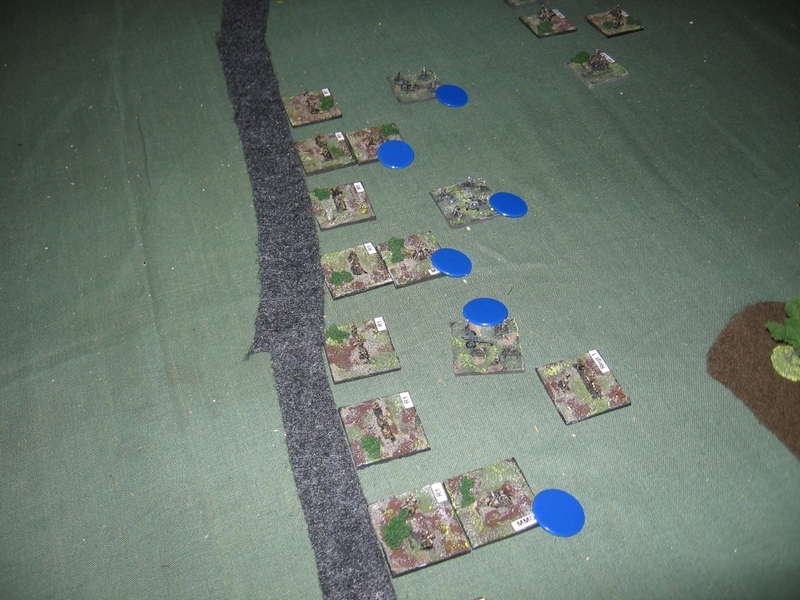 Meanwhile the initial German right wing regiment has outflanked that lead Russian regiment, tackling an MMG position in the woods. The Russian defenders in their forward lone are decimated, as are the German attackers. We called the game at this point. 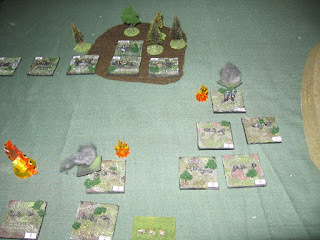 The German attackers lacked the strength to tackle the man Russian defences. 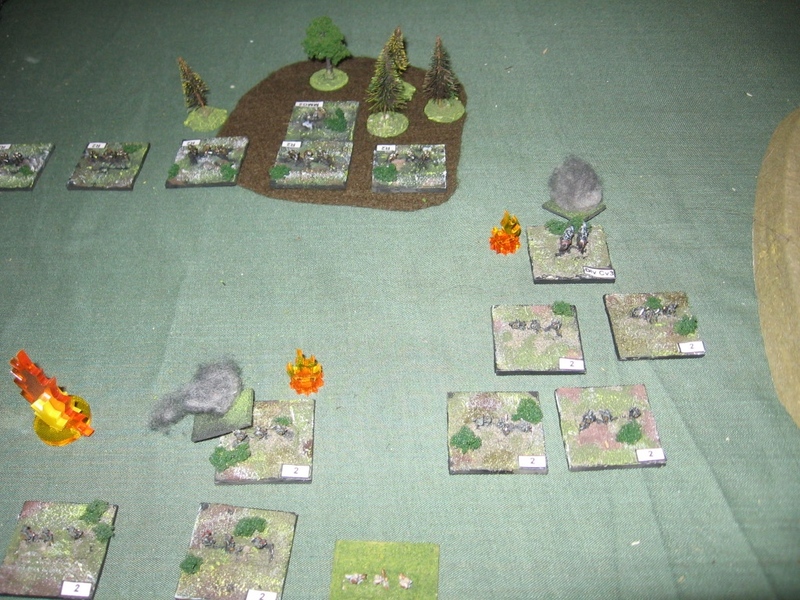 Falk's advance had failed, as it did historically. 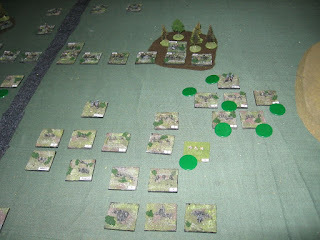 The game was a lot of fun, on heck of a challenge for the German attacker. 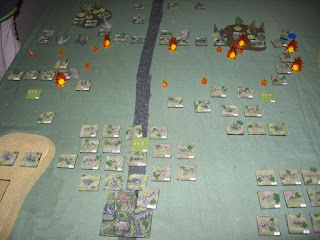 It deserves to sit in the gallery of 'Hard as' scenarios that sit on 'The Great Adventure' under 'The War gamer's Challenge'.